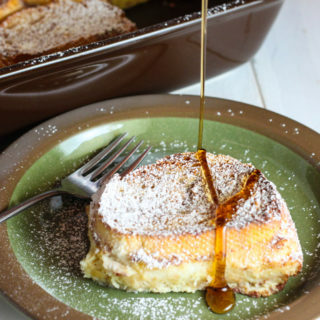 Are you looking for a fun new way to get your kids to eat healthier? Check out my Rainbow Dinner Project where we ate a meal featuring every color of the rainbow. This post is all about the color Purple. Here are quick links to the other colors/dinner ideas, RED, ORANGE, YELLOW , GREEN, BLUE and PURPLE. I tried to have around 5 things for each color/meal including a meat, starch, fruit, veggie and dairy item (we are dairy farmers you know!). 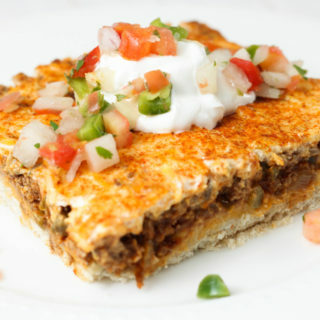 We used eggplant to create the crust for our pizza’s, this is a great idea to use up those eggplants this summer or for someone who is gluten free. We picked pepperoni and ham for our toppings because of their color, closest to purple. We used the purple cauliflower, blackberries and purple grapes for our sides. 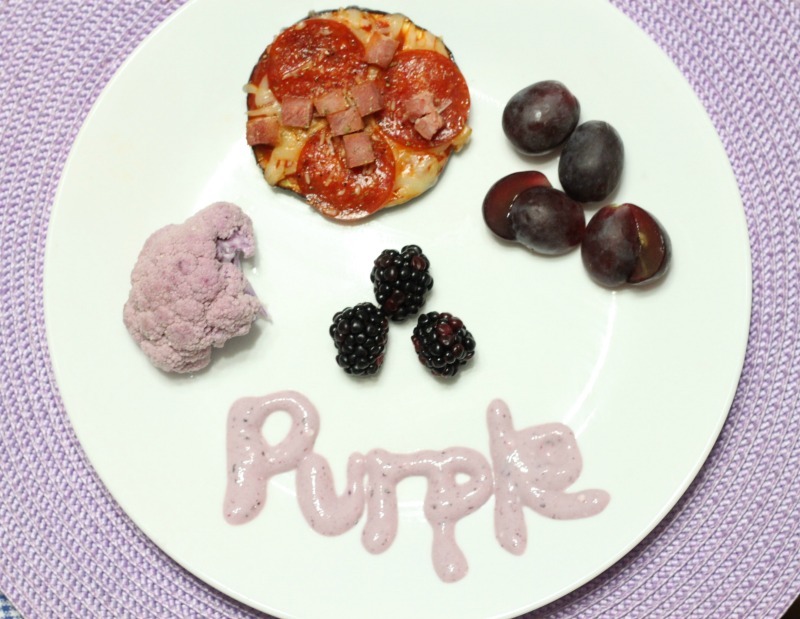 I used blackberry yogurt to spell out P-u-r-p-l-e like we have done in the other colors to work on letters. I wasn’t as happy with how this letters turned out on this one but I was trying not to be a perfectionist! The verdict? Our oldest son (3 years old) was all about the purple cauliflower, I was surprised to see it also comes in orange. I really liked the eggplant pizzas and could see us making them again. Looking for a fun Purple drink for your meal? 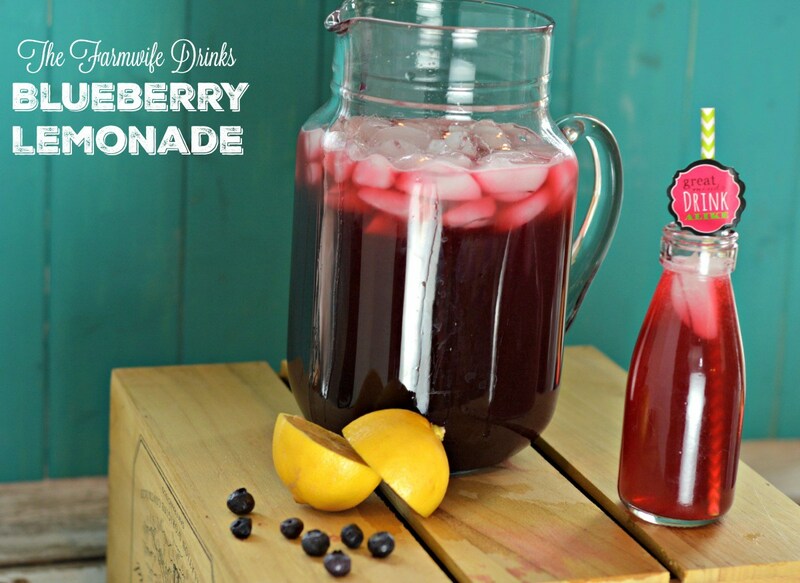 My friend Leah at Farmwife Drinks has you covered with this Blueberry Lemonade! 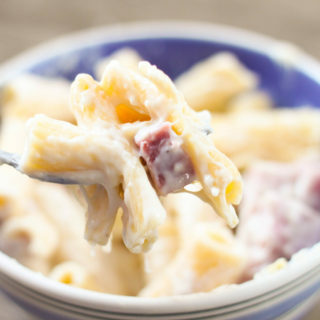 Need a Purple dessert to complete dinner? 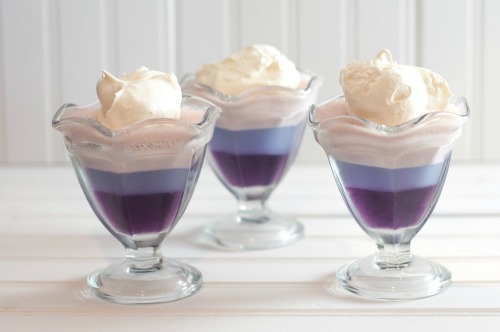 Jent from Farmwife Feeds has these Dreamy Triple Layered Jello Cups! 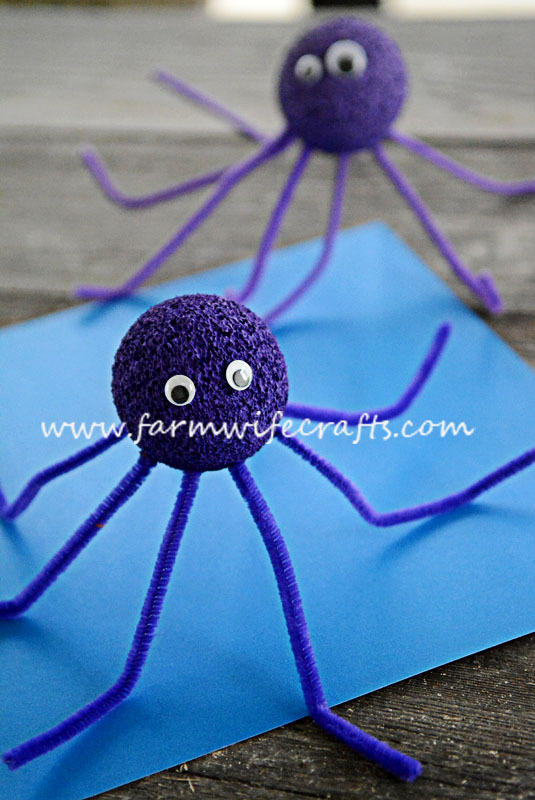 Sarah from Farmwife Crafts has the perfect Purple craft to make after dessert, this adorable Purple Octopus.